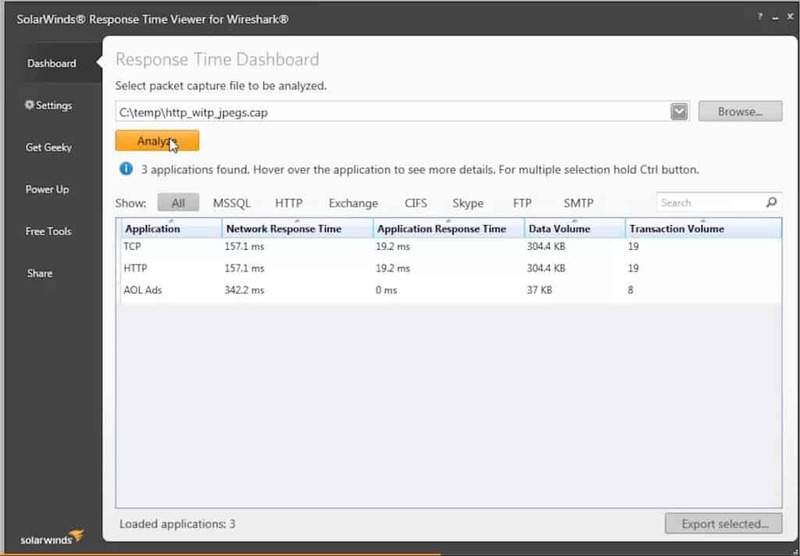 How to Analyze Response Times in Wireshark for Latency & Slow Apps! Wireshark is an industry standard in the field of networking and troubleshooting, and its use is normally the first point at which network engineers start their journey when embarking on a troubleshooting mission. Wireshark works incredibly well, and it is able to dump huge amounts of data into its capture files, giving your support team more than enough data to chew on as they conduct their investigations and fault finding. Sometimes we don’t need to look at every single send and receive bit from a data transmission, and instead we need to zero in on specific protocols or other metrics without having to manually sift through all of this data. 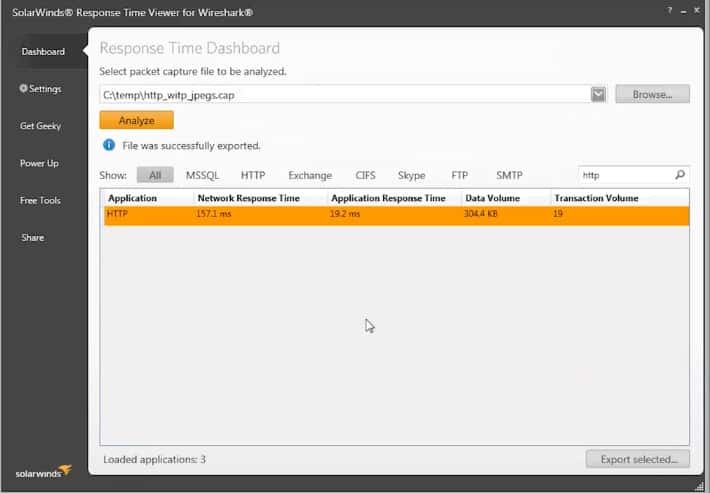 Response Time Viewer for Wireshark is able to simplify much of the filtering process by applying a set of template searches against the pcap files that are generated by Wireshark. This makes the process of looking through captured data files that much easier, as you do not need to understand what packets belong to which service, it is all done for you. There are over 1200 filters that come standard with the application, which means that all you need to do is feed your capture file into SolarWinds Response Time Viewer for Wireshark and let it start parsing all of the data for you. There is also a built in search function that makes in-depth analysis that much easier, which can save hours of trawling through pcap dumps with a fine tooth comb. The file can then be exported back into Wireshark so that it can be further analyzed if necessary, or compared to other data samples that you might have gathered during the course of your investigation. It is an especially handy tool when you are trying to analyze and pinpoint the cause of performance issues and strange network behaviour such as increased traffic or network faults.